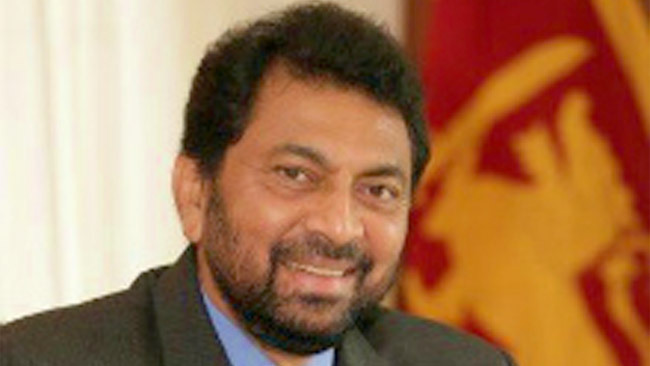 Former Navy Commander Admiral Wasantha Karannagoda is to appear before the Criminal Investigations Department (CID) to give a statement with regard to the abductions of five Tamil youth, in Dehiwala, on September 17, 2008. Top Police sources told the Daily News that the former Navy Commander would be summoned by the CID, today. “The former Navy Commander would be summoned only to record a statement. It is a part of the ongoing inquiry,” a highly placed Police source told the Daily News, yesterday. However, when contacted by the Daily News last night, Admiral Karannagoda said he was unaware of any such development. “I am not involved in anything and I have no knowledge of any such development,” the former Navy Commander said, in a brief telephone conversation with the Daily News, on Tuesday night. The CID, last year, informed the Colombo Chief Magistrate’s Court that the preliminary inquiries into the abductions had revealed that Lieutenant Commander Sampath Munasinghe, who was a bodyguard of the former Navy Commander, was connected to 11 abductions in Colombo during the same period. The CID also said a group accompanied by Munasinghe had abducted five persons and demanded a ransom of Rs.10 million from the relatives of the abducted youths. The CID, in its submissions, informed the Chief Magistrate that the former Navy Commander, who later served as an Ambassador, had also been aware of the abduction. Karannagoda, however, vehemently denied this claim, saying he did not know anything about the incident. The investigators also said they recovered the National Identity Cards of four missing youth and passports from Munasinghe’s room. The CID told that the men had been detained at underground cells at the Colombo and Trincomalee Navy camps.